The snowy bounty of winter has arrived! To check current conditions at New England cross-country ski areas, here’s a quick round-up of the available online resources to help you find the perfect slip-sliding, glorious gliding experience this winter season. Not sure where to start? Unfamiliar with the array of Nordic ski options in New England? Then head here first to get a big-picture view of the opportunities, as well as a quick check on current snow conditions. This national organization provides overviews, links, and contact information for member ski areas (which includes the vast majority of those operating). Check out their national map of Nordic ski areas, which shows the preponderance of locations in New England. (You can also search by state from this page, which brings up an excellent and informative list of locations.) Current snow conditions can be pulled up by state, and are succinctly listed in a quick-to-scan table. This site is dedicated to the seven Nordic ski areas in western Mass., which offer scenic skiing in the rolling terrain of the Berkshires. Peruse short descriptions of each destination or check current conditions, which are conveniently listed on one page with detailed info for each ski area. The closest Nordic ski areas to Boston are the Weston Ski Track and Great Brook Ski Touring Center in Carlisle. The Weston Ski Track maintains a 2km lighted track with man-made snow for much of the winter, and opens up to 15km as conditions allow. (Here’s their promotional video.) Great Brook Ski Touring Center utilizes the paths of Great Brook Farm State Park. The only option is Winding Trails, located just west of Hartford in Farmington. Check out their current conditions. Vermont boasts more than two dozen Nordic ski centers. If you’re already familiar with the options, XCountry Ski Vermont is a great resource to check current conditions for all of them, updated regularly by the ski centers themselves. It’s not the best place, however, to get a statewide overview of opportunities. For that, check out the overview map at Ski Vermont or try the Cross-Country Ski Association above instead. Vermont.com offers a quick round-up of conditions as well. SkiNH maintains a comprehensive site that covers both Nordic and downhill ski areas throughout the state. Their overview map is a good place to get started, and snow conditions are all listed on a single page for easy reference. Ski Maine Association provides statewide coverage of Nordic ski areas. VisitMaine.com lists the state’s Nordic facilities for quick reference as well, though neither site offers to a Maine-specific map to help you get the geographic big picture. 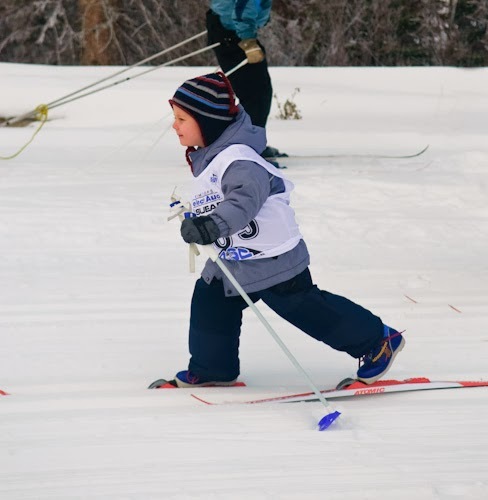 The New England Nordic Ski Association provides a comprehensive listing of races and activities throughout the region, and is geared more towards the active and experienced skier than novices. It does offer a New England Nordic ski areas map, though it’s a bit cumbersome to use and does not provide ready links or easy-to-find information about specific locations.